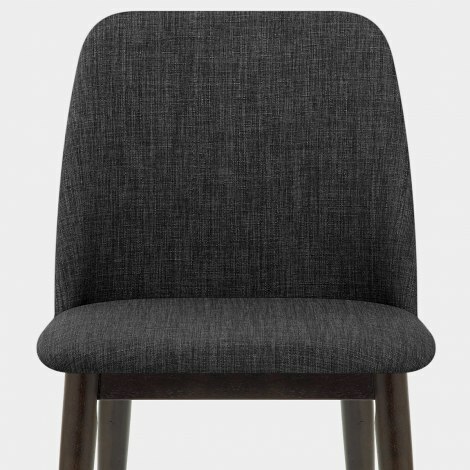 With a charming versatility, the Elwood Walnut Dining Chair Charcoal Fabric is a modern design that can be used in a variety of different interior settings. 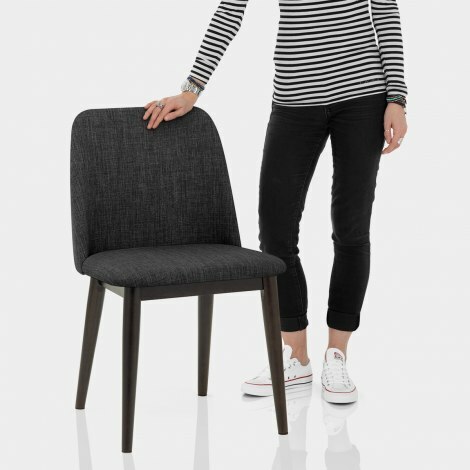 Comfort and contemporary style combine to create this desirable chair, ensuring the Elwood excels in every way. 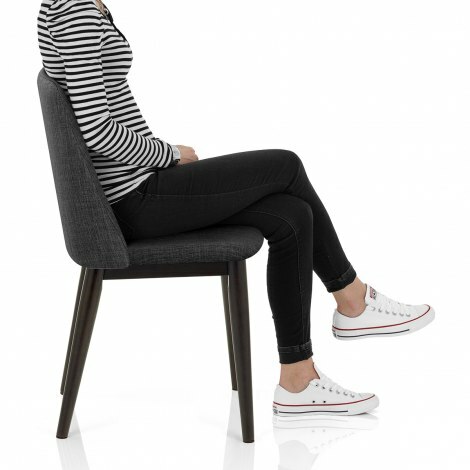 Trendy charcoal fabric upholsters the seat and supportive backrest, which are also lightly padded providing optimum levels of comfort as you sit. Strong and stable, the solid wooden frame is made up of four gently tapering legs with a divine walnut finish. Each leg is also capped by a protective plug that helps take care of floor surfaces. "These chairs are exactly what I was looking for"
Me and my husband was very happy with this elwood walnut dining chair, its easy to assemble and very stable. We highly recommend the Atlantic Shopping. Great service, dispatched and arrived very quickly. Product was exactly as described. Would definitely shop here again. These chairs are exactly what I was looking for. They look elegant and are very comfortable. Good quality and value for money. We bought these chairs as well as the lighter grey colour as a mix and match, absolutely love these chairs. Good quality and comfy too. Very very happy!!!! I'm really pleased with this Elwood chair. Looks really smart and it is very comfortable. In fact I'm so happy with the chair, I will be ordering 7 more of them! !